Evidence continues to mount that Apple is looking at smartening up its AirPods with biometric sensors to track your health and fitness. The latest rumours come courtesy of a patent recently filed by the Cupertino company that was spotted by the folks at Patently Apple. 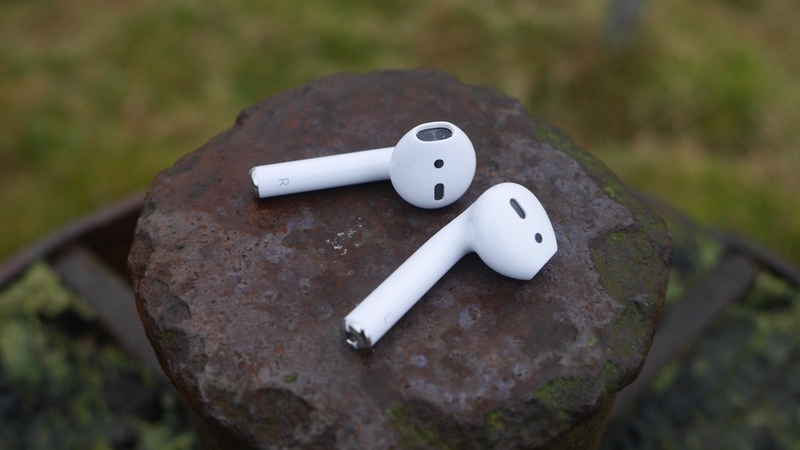 It is reportedly Apple's third patent in relation to next gen AirPods. The future smart buds are set to house a series of biometric sensors including heart rate, galvanic skin response (which relates to stress) and EKG for an alternative and more reliable method of tracking heart rate. There's also mention of an impedance cardiography sensor and a temperature sensor that suggests Apple is thinking as much about the potential health benefits of wearing its buds as keeping you in the right heart rate zone in the gym. You can of course already pick up a pair of fitness tracking buds like the Bragi Dash, Jabra Sport Elite or Samsung Gear IconX, but if these future AirPods pack in all of the above, they have the potential to do much more than the current crop. AirPods could even become an integral part of Apple's ResearchKit platform just as the Apple Watch has over the last couple of years. This latest patent follows the one spotted by AppleInsider (image below), earlier this year detailing "Earbuds with biometric sensing." While the patent drawings make them look like giant hearing aids, the underlying technology would allow Apple to make a true hearable that could detect your heartbeat, temperature, stress and blood oxygen levels via various sensors embedded in the device. While we tend to take most patents with a pinch of salt, the prospect of Apple making smarter AirPods isn't that far fetched and seems very likely it'll happen some point down the line. We're still actually surprised Apple's first gen didn't pack any biometric-tracking features, but as always, it looks like when Apple enters the fray, it's going to do it in a way that will blow away the competition.